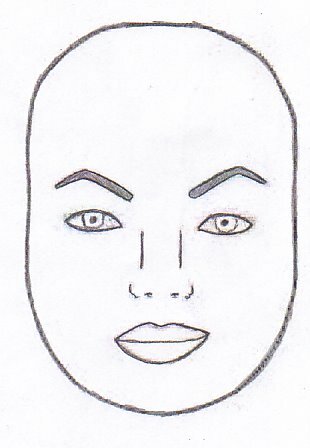 Oval is a perfectly balanced face; the top half balances the bottom half. Your cheeks, chin and forehead practically form a circle. Your cheeks tend to be plump and full, obscuring the cheekbones. 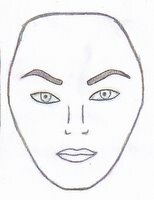 This shape will have either a long forehead or a long chin; distinct drawn and rather raw-boned features are visible giving a tired look. 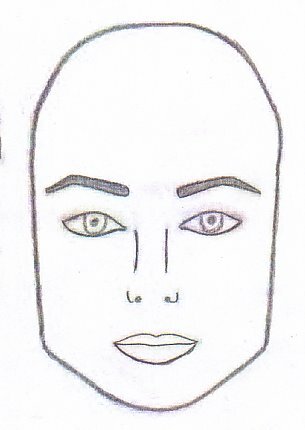 Cheekbones lack lift because of the length of the face. This shape is easily identified by its square jaw line and solid bone structure. 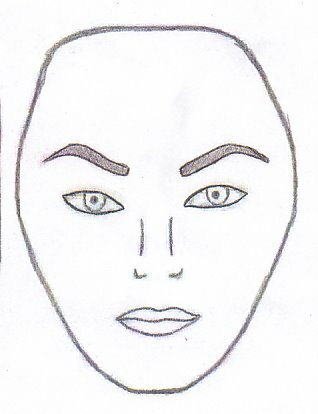 The cheekbones are flat and unnoticeable, while the forehead tends to be wide and angled with plum cheeks. Being narrow at the bottom and broad at the top marks this face. Your chin will be pointed and prominent. Cheekbones may be high, but often are not so obvious because of the width of the face. It is not as common as the other face shapes. To find out your basic face shape, start by pulling your hair back from your face, and with no makeup on, look closely in the mirror and examine your bone structures and distinct features on your face. I received some emails from some bloggers about my previous post (Hairbangs). Most of them have concern about how to find out what face shape they belong to. 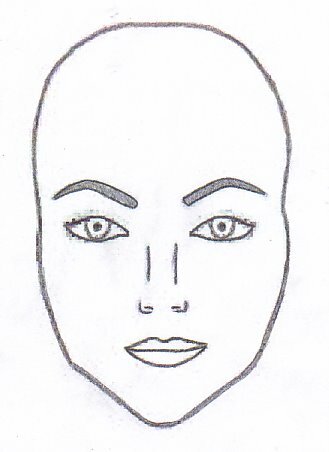 So I decided for this post and I hope it helps you to figure out your face shape. Good luck, Y'll. This post is dedicated to my blogger friend Princess Shin because I haven't been able to post the message that she tagged me on her blog. 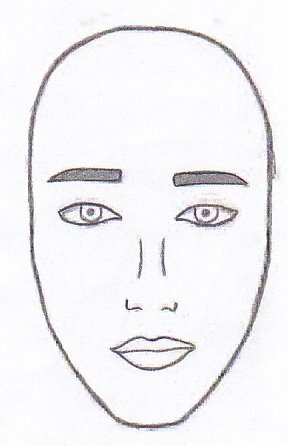 For all the face shapes, I include something particular for the faces in the drawings.Let's say it is something that help you to have better overall facial apperance. Would you mind if I play a liitle bit game with you? Can you tell me what a little difference is on all different faces except, of course, face shapes? If one of you can give me the right answer, the winner can tell me about what he/she wants to know something relating to the human body and I'll do the research for you and the post will be dedicated to you. How about that? Sound good? If the correct answer is given by more than one, I'll pick the first person who gives the correct answer. So have fun and enjoy it! Oooh.. i'm so honoured to have you dedicate me a post! =) Thanks! hehe..
P/s: i have no idea wat is different btw these faces. Faces appear attractive or unattractive according to what our instincts have taught us about survival rates for our offspring. If we are attracted to a symmetrical heart shaped face and our offspring survive, then that is passed on in our genes. If we are attracted to a round face and our offspring don't survive, then that gene is removed from the pool. More important in a modern, industrial society is the realization that the shape of a person's face has little to do with his/her ability to be a good partner in life. The best way to figure out what face shape you have (if you become confused) is to ask a hair stylist at a free consultation. 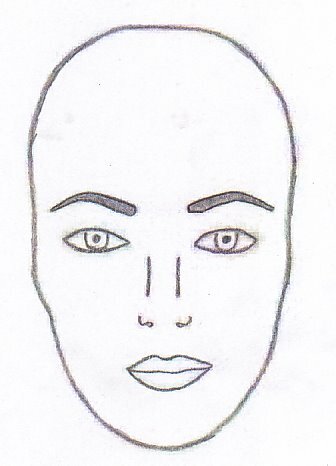 They can help you analyze your face shape and features which can help on how too further cut your hair. Aren't the eyebrows shaped differently on all the other faces??? Is it the eyebrow??? Or the contest is already over? ?